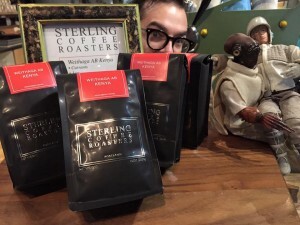 For our second guest feature in a row, The Wormhole has once again deferred to the rich, burgeoning coffee hub of Portland, Oregon with an exceptional Kenya from Sterling Coffee Roasters. Since its foundation back in 2010, this artisan company has established a sterling (pun intended) reputation amidst one of the most competitive and inventive coffee scenes in the country. Visitors to both Sterling’s eponymous café on 21st Avenue and affiliated Coffeehouse Northwest on Burnside are immediately floored by the chic, Europeanesque aesthetic – a pervasive elegance that shines through in their clean, sumptuous cups. 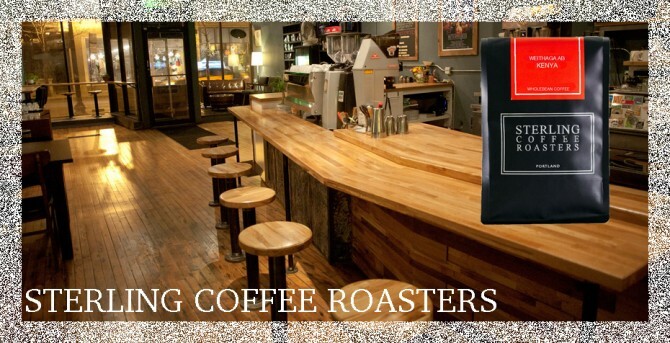 Sterling Coffee Roasters’ compact, focused offering list (often fewer than 5 blends or single origins) is roasted in small batches. This concise approach to roasting pays massive dividends, as Sterling’s ever-changing roster is virtually incomparable in terms of seasonality, freshness, and impactful flavors. The Kenya Weithaga AB, now featured on Wormhole’s brewbar on V-60, is no exception. Divergent from the classic winey, acidic, berry-forward profile found in many Kenyas, Weithaga AB is distinguished by its floral, saccharine characteristics. Notes of cantaloupe, watermelon candy, and vanilla pirouette through the soft, mellow acids and vibrant botanical aromatics of this immaculate cup. Wormhole’s last feature of 2015 promises to be one of the most unique coffees you’ll taste this year.